NOVE is a visual artist and muralist based in São Paulo, Brazil. As a contributor to public art since 1999, NOVE utilizes various mediums and raw materials, including wood, metal, textiles as well as site specific components found in urban settings to create his works of art. Creating symmetry from his geometric compositions, NOVE uses graphics, light, and a juxtaposition of vibrant colors to create the visual experiences found in his work. 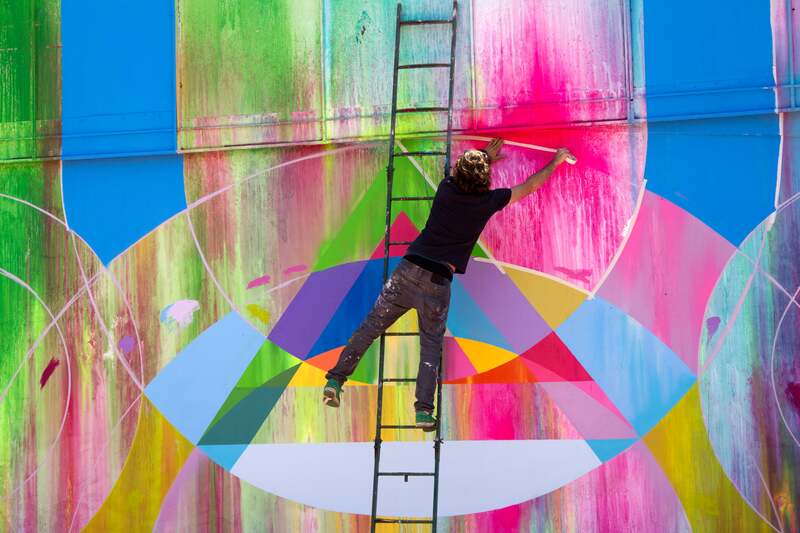 In an effort to foster greater appreciation and respect for public art, NOVE began focusing on painting large-scale murals in 2010, which has afforded him global recognition and the opportunity to paint murals across Europe, North America, and Brazil. In addition to his work as an artist, NOVE is an educator of visual arts at various institutions in São Paulo. For the Spoke x NOVE collaboration, NOVE brought his vision to our Spoke Seat by adorning it with his signature colorful geometric style. Inspired by this design, we painted a mural with NOVE in São Paulo’s Vila Madalena district as part of our contribution to the public art scene of the city.